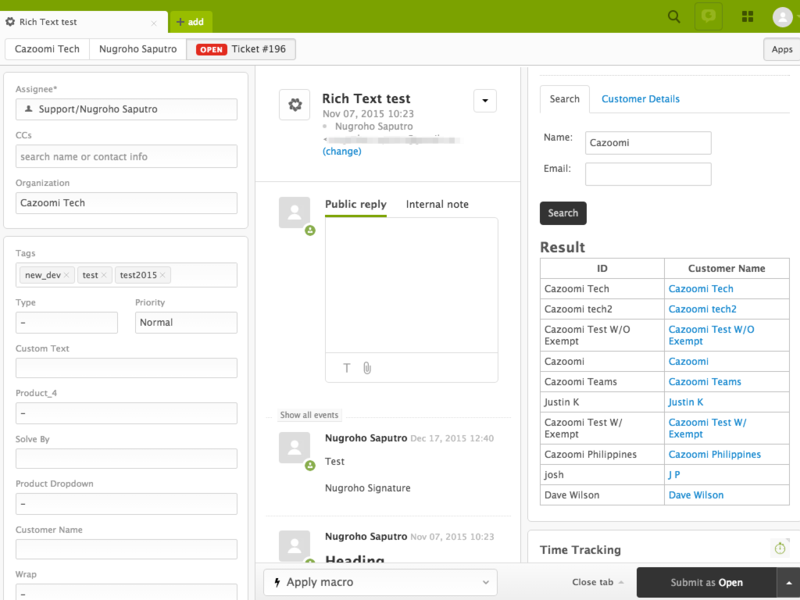 Zendesk for NetSuite connects your customer service data to your sales & financial system of record, NetSuite. 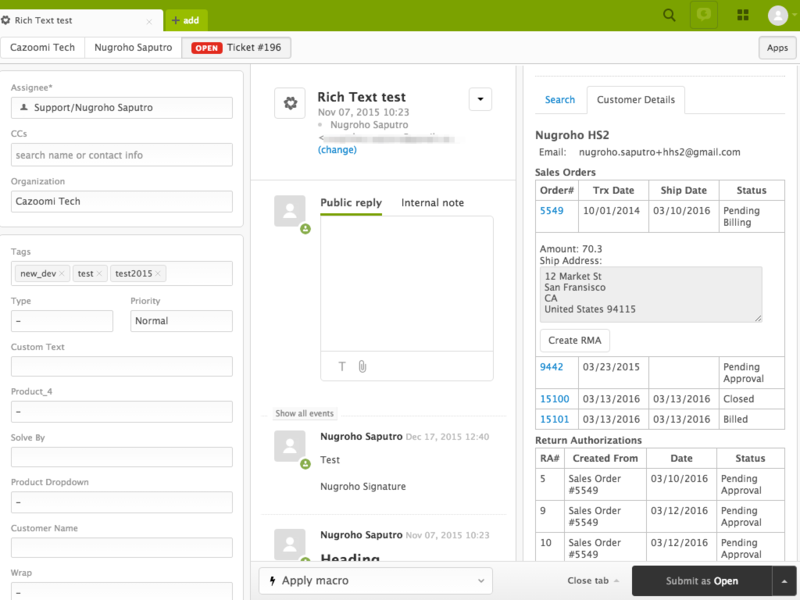 It's loaded with tons of features that your business users will love like seeing real time case data in NetSuite from your Zendesk tickets. Get connected in minutes, not months, to see your support data in a whole new light flowing into NetSuite. 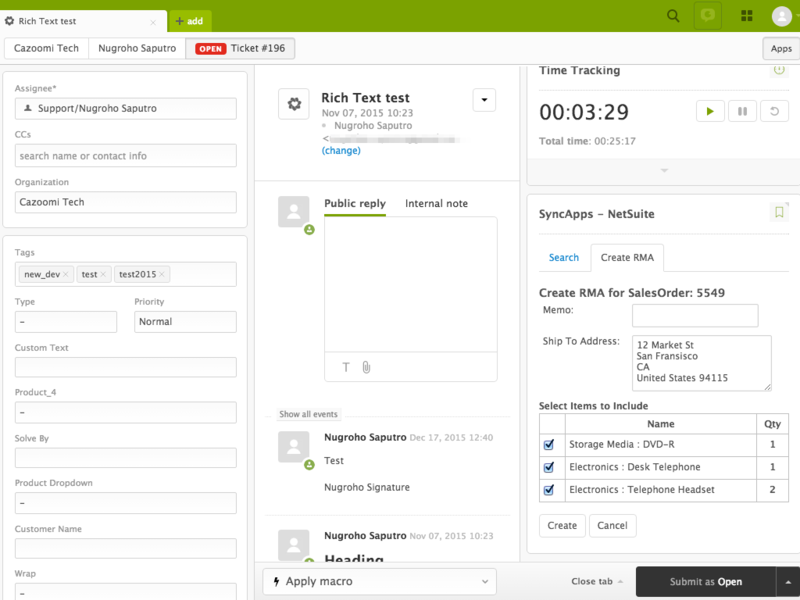 All SyncApps subscribers get access to our Zendesk Apps tailored for NetSuite on our Enterprise plans. What this means is by subscribing to SyncApps and using our Zendesk Apps downloaded from Zendesk the following features become readily available. To get started please create your Sync Profile in SyncApps first then use the Sync Profile Token for Zendesk App configuration given in Step 1 of setup. Free access to our first Enterprise Import App, "Bulk Zendesk Organization Update", to Update Zendesk Orgs name, Import unlimited records to Zendesk, Quickly import user's time zone, or photo, or language preference, etc. To install in Zendesk please tap "Install" on this page and select your Zendesk account to install this app. Please note that along with this Zendesk App you will need a SyncApps Subscription to run the integration features between Zendesk and NetSuite. To sign up for our 2-week trial and setup your Zendesk for NetSuite integration please see here.